Late last week, the Ohio Department of Education produced letter grades (A, B, C, D, F) for each of nine measures included in its new accountability system. This new system complies with the demands from the legislature and represents a complete retooling of the previous accountability system (which featured ranking labels such as “Excellent” and “Continuous Improvement”). School district scores were revealed to individual school districts 24 hours before being released to the community. This did not leave school districts with a great deal of lead time to absorb and analyze the new results. Olmsted Falls School District has spent the last several days reviewing our new data and will continue to delve deeper into these latest results. As a district, we feel very positive about our overall performance on these new metrics. There are definitely items of celebration, and there are also areas to improve. To access a summary of the new letter grades for Olmsted Falls City Schools compiled by The Plain Dealer and Cleveland.com, please click HERE. To read a more in-depth analysis of each of the nine measures, please click HERE. IMPORTANT REMINDER FOR PARENTS OF RETURNING STUDENTS! 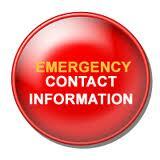 It is very important that we have the most current and up-to-date contact and medical information for all students in case of an emergency. If you are the parent/guardian of a returning student(s) and you have NOT yet gone on-line to review, update and submit important contact, family, health and emergency medical information for your student(s) using the district’s new online registration system, please plan to do so TODAY. 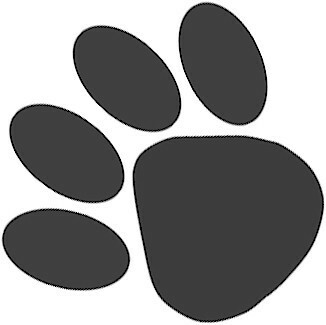 All parents/guardians of returning Bulldog students should have received an important letter via mail the week of August 12th, containing a personal “Snap Code” and instructions on how to access and update the information for their student(s) using the new online registration system which opened to parents/guardians in mid-August. This initial letter requested that parents/guardians login to review, update and submit this year’s information for their student(s) by Tuesday, August 20th. Email reminders are being sent by building principals this week to families who have not yet completed this important annual information update for their student(s). If you have not completed online registration for your student(s), please watch for these important emails. Please note that the district’s new online student registration system replaces the paper forms – including the emergency medical cards – that are normally sent home at the start of each school year. Thank you again to all of those who have completed the new process! We have received many positive comments about the ease and simplicity of using the new system. Parents with multiple students in the district especially appreciate the new system’s ability to automatically update data across multiple students. Olmsted Falls School District has just been granted two additional staff development days for the current 2013-2014 school year by the Ohio Department of Education. The district will hold Staff In-Service Days on Tuesday, November 5, 2013 and Friday, January 24, 2014. There will be NO SCHOOL FOR STUDENTS on these days. The district will also still hold its previously scheduled annual Staff In-Service Day on Friday, February 14, 2014. To download the updated Olmsted Falls School District 2013-2014 School Year Calendar reflecting these additional Staff In-Service Days, please click HERE. The Bulldog Marching Band’s special parent preview and preschool night held last Friday night drew a crowd of more than 100 guests. The event was especially popular with the community’s littlest Bulldogs who were encouraged to bring a toy instrument and march alongside OFHS band members prior to the show. To read coverage of this special event featured on Cleveland.com, please click HERE. Kudos to the entire Bulldog Marching Band for hosting this memorable community event! Members of the OFHS Girls’ Soccer Team all pitched in to help the Olmsted Falls Travel Soccer Association repair their soccer fields. “It’s important that our athletes understand the need for community service, giving back and paying it forward,” said Coach DuBois. Kudos to our Lady Bulldogs for the positive impact they made by volunteering their time and energy! Picture days are upon us! Attention Parents of ECC, Falls-Lenox, OFIS and OFMS Students: Yearbooks will no longer be sold in the school picture packages and will be sold separately later in the year. More information on the sale of yearbooks will come from the individual buildings later in the year. Many parents of students in grades Pre-K to 8 are used to purchasing the yearbook in conjunction with the school picture packages, as this is how it was handled in past years. Please watch for information on yearbook sales to come home separately later in the year. Thank you! 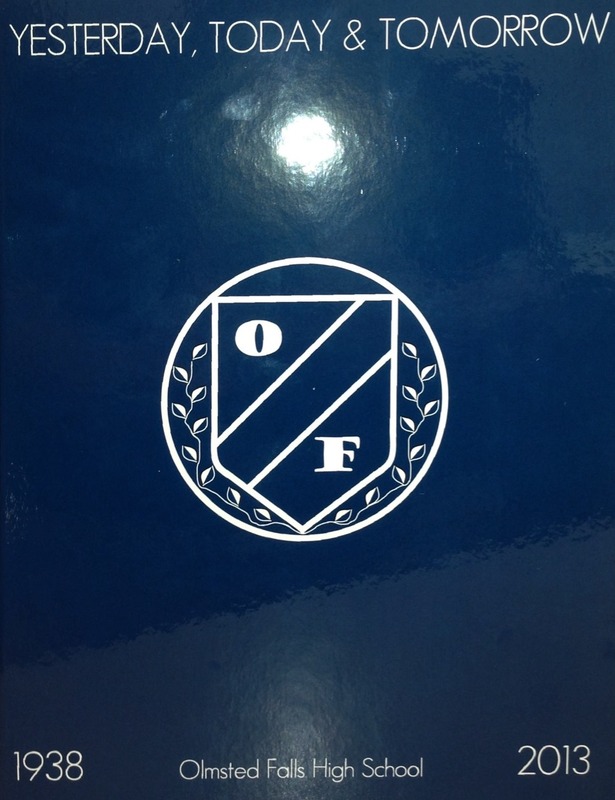 OLMSTED FALLS HIGH SCHOOL YEARBOOKS HAVE ARRIVED! The 2013 Senorio yearbooks have arrived and are ready for pick-up! There are still copies available for purchase for $60. Please contact Mr. John Gaba (427-6050) or Mrs. Leslie Pickenheim (427-6070) with any questions. 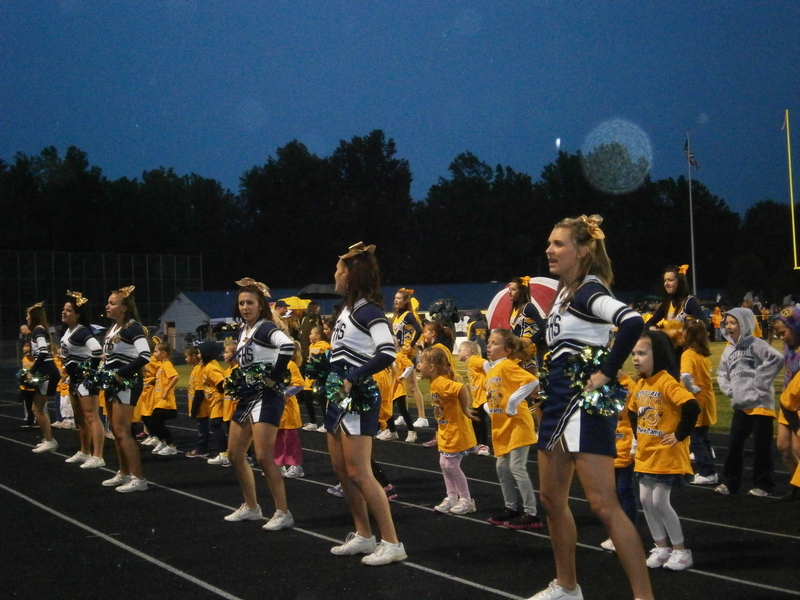 ANNUAL MINI BULLDOG CHEER CLINICS & CHEER NIGHT FOR GRADES K – 5 – REGISTRATION DEADLINE SEPT. 11TH! For additional information and to download the registration form, please click HERE. The Ohio Association for Pupil Transportation (OAPT) has distributed an important press release to local media outlets to remind and encourage motorists to use caution as school districts across the state resume and school buses head out on the roads. Please click HERE to read a copy of this important OAPT Press Release. Please join the Olmsted Falls Athletic Booster Club at its next meeting Monday, September 9th @ 7:00 pm in the High School Library. New members needed! Thank you! Sept. 24th Falls-Lenox/ECC PTA Meeting OFHS PTA NEEDS YOU!! All OFHS Parents: Click HERE to download the Olmsted Falls High School PTA 2013-2014 membership form. Please read it to find out all the great reasons that you should be joining the High School PTA. Senior parents are especially encouraged to join. You need to be a member so that your child is eligible for scholarship money from the High School PTA. So please join and come to a meeting and see what we are all about!! Click HERE for a list of this year’s meeting dates. The Annual PTA Activities Calendar for the 2013-2014 will be sent home (one per household) in September. These popular calendars are sent home annually with the youngest student in each household, and provide families with an overview of events occurring throughout the school year. Please note that this year’s production schedule has been extended slightly to ensure the 2013-2014 calendar is as complete and accurate as possible. Extending the production schedule results in a slight delay in delivery. For your convenience, you can access a pdf file containing the August 2013 & September 2013 calendar pages of this year’s calendar for your immediate reference by clicking HERE. Please watch for your complete 2013-2014 printed calendar to come home with your youngest student in September. 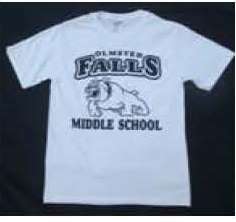 Please help support your OFMS PTA by sporting around an “Olmsted Falls Middle School” t-shirt or show your Bulldog spirit by wearing a “Once a Bulldog, Always a Bulldog” t-shirt or sweatshirt. We’re also selling Bulldog nylon drawstring bags, as well as, Bulldog flannel pants. Please note the flannel pants only come in junior sizes. We will have these items for sale at the September 3rd open house for the 7th grade and the September 5th open house for the 8th grade. ORDERS MUST BE PLACED BY SEPTEMBER 12TH to be received on September 27th. Orders placed after September 12th will be available at the Middle School parent teacher conference on November 4th and November 7th. Please click HERE to access the order form. Thank you so much for all your support of our OFMS PTA!!!! OFEA President Jeff Kho recognized ECC volunteer readers Bill and Mary Kubat at last week’s opening staff meeting. Mr. & Mrs. Kubat were honored with the annual “Friends of Education Award,” presented by the Olmsted Falls Education Association. The Kubat’s were unable to attend the annual Records Day breakfast in June to receive the special recognition, which was also awarded to Jim and Karen Polcar for the 2012-2013 school year. 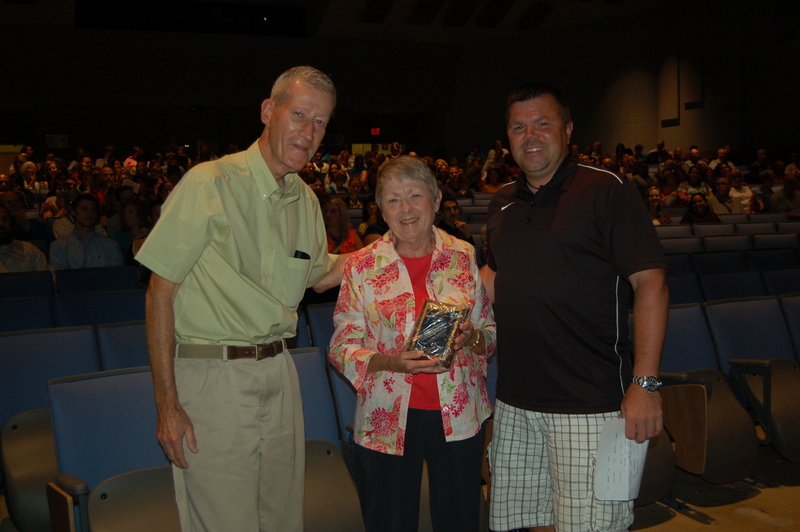 It was an honor to have Mr. & Mrs. Kubat in attendance to receive this well-deserved award as part of the district’s opening staff meeting. The Kubat’s were recognized for their ongoing commitment to our littlest Bulldogs at the Early Childhood Center, to whom they read each and every week! Their dedication is truly inspiring and appreciated. Congratulations! District officials recognized staff members for their years of service to the District during last week’s annual opening staff meeting. Employees with 10, 15, 20, 25, 30 and 35 “Bulldog years” were acknowledged for their contributions to the District’s success. Please join us as we acknowledge and congratulate each of these special groups of Bulldogs in the coming weeks! This week, we are proud to recognize our staff members with 10 Bulldog years! “10 Year Bulldogs” (Front Row, L to R): Robin Tenerowicz (OFMS); Marlene Slagle (OFMS); Kristen Rupp (OFMS); Verna Kristie Kovacevic (OFIS); Laura Connelly (OFIS); Jennifer Cieker (Falls-Lenox); Casey Lehmann (OFMS); Laura Kennedy (OFMS); Lisa Rahas (OFMS); Sarah Reisner (OFMS); Sandra Tatro (OFIS); Michelle Schoenhofer (Falls-Lenox). 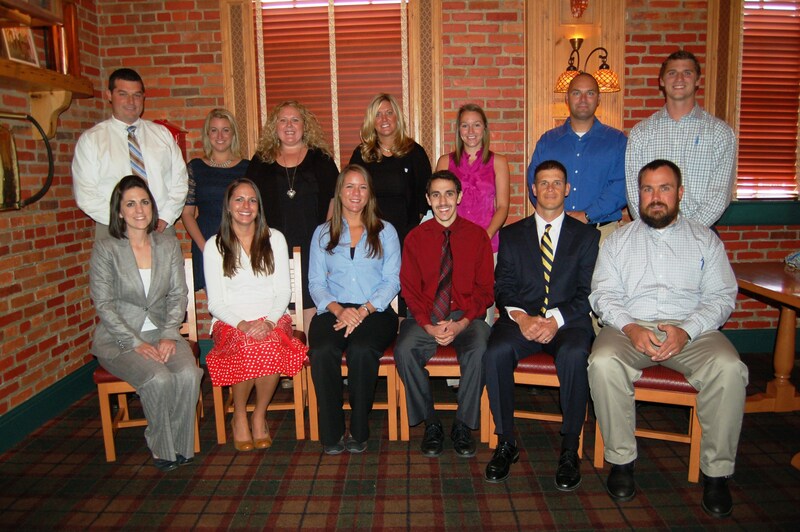 (Back Row, L to R): Don Svec (OFIS); Jim Kwilecki (Falls-Lenox); George Elioff (Falls-Lenox); Holly McFadden (Central Office); Erica Jama (OFMS); Jessica Caraballo (OFIS); Carrie Bargholt (OFHS); Charles May (OFHS); John Novotny (OFHS). Not pictured: Kelly Ely (Falls-Lenox) and Kevin Peepers Baker (Falls-Lenox). 9TH ANNUAL OLMSTED FALLS HIGH SCHOOL GOLDEN GRADS REUNION – THURSDAY, SEPTEMBER 26TH @ 11:30 A.M. The 9th Annual Olmsted Falls High School Golden Grads Reunion will be held on Thursday, September 26 from 11:30 a.m. to 3:30 p.m. at the German American Cultural Center, 7370 Columbia Road, Olmsted Falls. Reminisce while browsing through old yearbooks and other OFHS memorabilia. Become reacquainted with fellow graduates from the Classes of 1929 – 1969…. and make new friends who also have “Bulldog Pride!” Tickets are $20 per person and include a sit-down lunch, tax and gratuity. Deadline to make a reservation is September 13. For the invitation/reservation form, please click HERE. Or, call Jenny McKeigue, OFHS Alumni Director, at 427-6030 for more information. OECPTA ANNUAL AUTUMN ATTIC RESALE EVENT – SEPTEMBER 28TH! (27045 Bagley Road) for Olmsted Early Childhood PTA’s Autumn Attic Resale Event. Want to sell your gently used baby /kids inventory? Here is your opportunity: $ 25.00 – OECPTA members; $ 30.00 – non-members. Each space purchased includes a 10’ x 10’ space (tables are available at a cost of $10.00/ table). Sellers keep all profits! Spaces are limited, so return your registration today. Registration forms available at www.oecpta.org. Early Bird 8 am- 9am – $5.00; General 9 am- 12 noon – $ 2.00; Children’s Clothes – Toys – Gear –Maternity – Furniture – Décor – Bedding – Strollers – Activity – Baby Gear – Safety Items/Gear – Toys – Games & Other Misc. Items For All Ages. 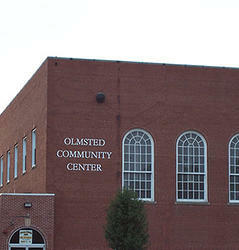 New Season of Activities, Sports & Programs at Olmsted Community Center (OCC) – The Olmsted Community Center (OCC), a non-profit 501c3 organization, is now ready for a new season. We are partnering with local organizations to help provide a single point of registration for community activities, sports and programs. Check out all we’ve got in store at www.olmstedcc.com: all new Saturday Activity Nights (see below), Cheerleading, Friday Night Workshops, Football, Zumba, Yoga and more! Hope to see you there! Saturday Activity Nights at Olmsted Community Center….Opening Night – Saturday, September 7th – 7-10 p.m. New…Grades 1st – 6th! More Fun for Everyone! Parents come visit and get more info at our Parent/Child Open House on 9/7/13 from 6:00 – 6:30 at the Olmsted Community Center. Please click here for event flyer or visit http://www.olmstedcc.com/. 2nd Annual Robby’s Voice Race IV Awareness 5K Run/1 Mile Walk – Sunday, September 15th at Olmsted Falls Intermediate School – This year, along with the 1/2 mile kids dash and tables of kids activities, we have added a “Chris Cakes, pancakes with an attitude” Breakfast, DJ, cash raffle, gift basket drawings, a memorial tribute video and the entire race is being run by Hermes. Please help make a difference by registering for the event at: http://www.robbysvoice.com/2nd-annual-race-iv-awareness-5k/. Thank you to all of our Bulldog staff, students and parents for this week’s great start to the 2013-2014 school year! Volunteers and staff working together are the key to first day success! 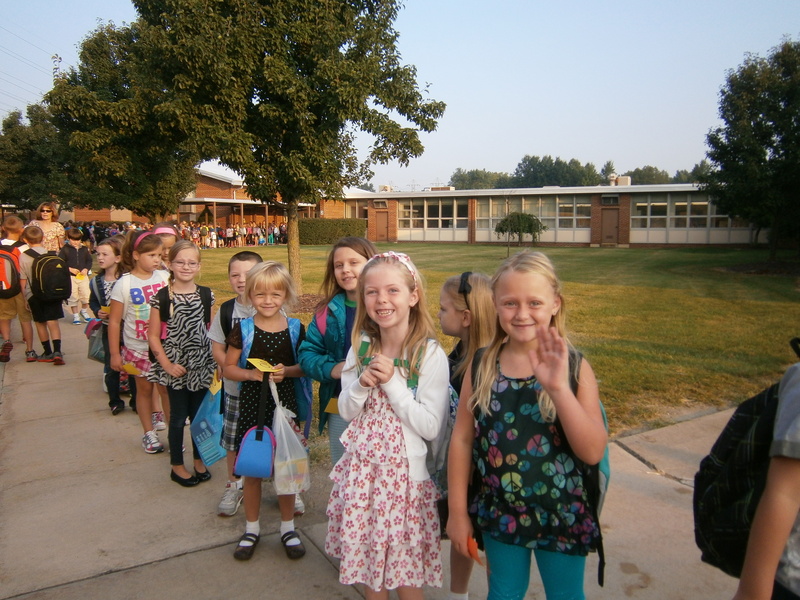 Please click HERE for some first day arrival photos from Falls-Lenox Primary School. Best wishes to all of our Bulldogs for an exciting and successful school year! District leaders discussed scope of work options for potential safety and security upgrades at Olmsted Falls High School, which would be made possible by the passage of the 1.8 Mill Bond Issue that has been placed on the November 5th election ballot. 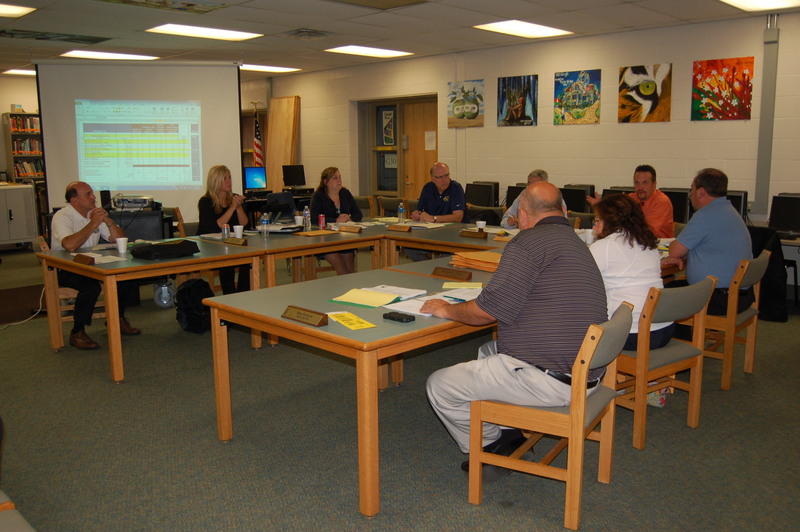 Discussions occurred during the regular August meeting of the Olmsted Falls Board of Education, which took place in the High School Media Center last Saturday. Passage of the Bond Issue this November would generate one-time funding of approximately $15 million. One of the primary projects included in the developing scope involves expanding the existing Olmsted Falls High School building with the construction of additional classrooms to allow for the elimination of the four modular classroom trailers currently located outside the main building at the edge of the parking lot. The removal of the external modular classrooms at Olmsted Falls High School was one of the main recommendations that came out of last year’s extensive, district-wide evaluation of safety and security. Stay tuned for additional Bond Issue updates and the developing scope of work. As of Wednesday afternoon, Bulldog parents have logged in, reviewed and updated information for more than 2,000 students using the personal “snap codes” provided in a letter mailed to all families of returning students early last week. The district’s new InfoSnap system enables parents to review and update all of the information for their student(s) on-line, and has replaced the paper forms that are normally sent home at the start of each school year. All parents were asked to review/update the information for their student(s) by the first day of school. Buildings will begin follow-up with families who have not yet accessed/reviewed/updated their information later this week. If you have not received a “Snap Code” letter for your student(s) or if you have any questions about the new system, please contact the main office of your child’s building for assistance. Thank you again to all of the families who have completed the new process! The district has received many positive comments about the ease and simplicity of using the new system. Parents with multiple students in the district especially appreciate the new system’s ability to automatically update data across multiple students. Access to PowerSchool for both parents and students is now open. PowerSchool can be accessed by clicking on the PowerSchool QuickLink, located on the left side of any page on the district website (www.ofcs.net). Please note that the PowerSchool login page features a link for forgotten passwords that can be used to reset existing account passwords, if needed. Please do not create a new account if you have had an active PowerSchool account in the past. Please contact your student’s school office with questions. Thank you. Please note that school fees for the 2013-2014 school year for students in grades K to 8 will be available for payment using the EZPay system within the next 24 hours. We understand that parents attempting to pay school fees using a credit online via the EZPay system were not able to readily access the fees for the 2013-2014 school year. We are currently working with EZPay to resolve this issue, and thank you for your patience. Again, school fees (for grades K to 8) should be accessible and available for payment shortly. PLEASE NOTE that school fees for Olmsted Falls High School students (grades 9 to12) are not typically posted / available until early September. * Scheduled pick-up times provided on bus postcards are approximate based on the student roster as of the time the routes were made. * Pick-up/Drop-off times may vary during the first 2-3 weeks of school due to additional or withdrawn students (and therefore more or less stops). * Weather conditions, road construction, traffic and train delays can also impact pick-up times. * Routes can run slower for the first week or so of school. Attention Bulldog Parents: This Friday night, August 23rd, the Bulldog Marching Band will be featured in a special preview show at 7:00 pm in the High School Stadium. Any little bulldogs, who would like to join us at 6:00 pm on our practice field at the High School, can bring a toy instrument and come and march alongside their favorite instrument prior to the show from 6-6:30 p.m. Attention Falls-Lenox and OFIS Parents! This year’s annual school picture day is scheduled for next Wednesday, August 28th for students at both Falls-Lenox and OFIS. Attention Falls-Lenox Parents: Please note that this date is earlier than it has been in past years, so we just want to be sure parents have noted the date in their calendars. Additional information will be forthcoming. The Annual PTA Activities Calendar for the 2013-2014 will be sent home (one per household) the first week in September. These popular calendars are sent home annually with the youngest student in each household, and provide families with an overview of events occurring throughout the school year. For your convenience, you can access a pdf file containing the August 2013 & September 2013 calendar pages of this year’s calendar for your immediate reference by clicking HERE. Watch for your complete 2013-2014 printed calendar to come home with your youngest student in early September. Front Row (seated left to right): Julie Budd – High School Director of Bands; Jessica Morris – HS Science Teacher; Molly Higgins – MS Math/Science/Reading Teacher; Michael Feller -Middle School Band Director; Tom DeLuca – HS P.E./Health Teacher & Head Football Coach; and Matthew Hammon – Falls-Lenox Tutor. Back Row (seated left to right): James Tatman – Director of Student Services; Amanda Apatzky – 3rd Grade Teacher; Brianna Smith – 1st Grade Teacher; Kelli Cogan – Assistant Superintendent; Jessica Howell – Falls-Lenox Tutor; John Vas – HS Math Teacher; Paul Ferguson – HS IS/Tutor. A group of eighth grade students served as WEB leaders for the Where Everyone Belongs program put on for incoming sixth graders. WEB leaders applied and were selected to participate at the end of last year. Each went through two days of special WEB training last week. 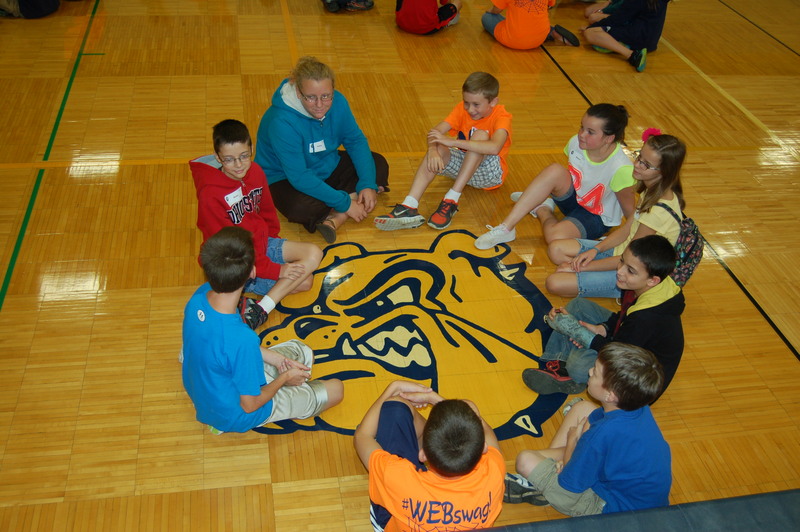 The WEB Orientation Program was held August 16th for all incoming sixth graders. (Click HERE for more photos!) The day began with an assembly in the Middle School gym, which included activities with the new sixth graders and the WEB leaders. WEB leaders also took groups of sixth graders to individual classrooms for activities to help get to know each other, challenge teamwork skills and provide advice on being successful in the Middle School. Sixth graders also received building tours from WEB Leaders and had an opportunity to find their lockers. The next big WEB activity will be the Tailgate BBQ and home varsity football game September 12th! 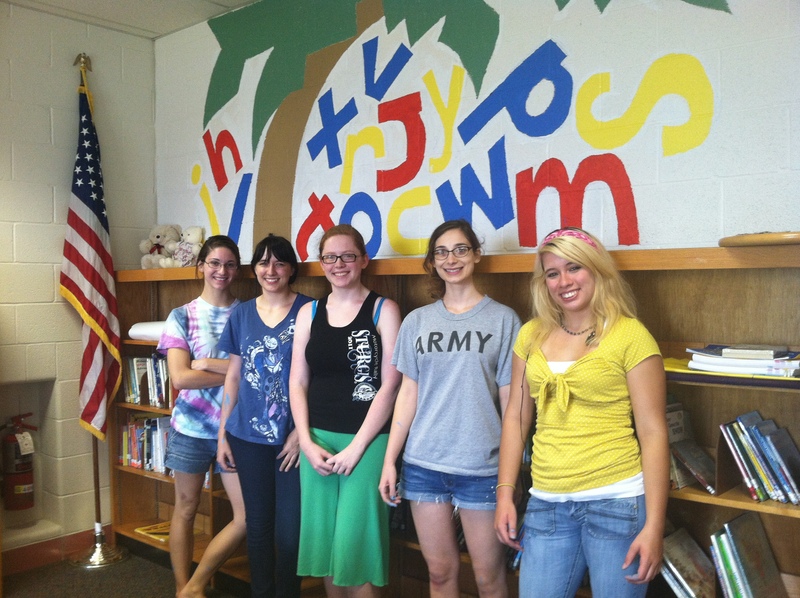 Several OFHS seniors and recent grads were busy over the summer lending their creative talents to help brighten the walls of the Early Childhood Center. Kudos and many thanks to Becci Boesken, TJ May, Jared Fuller, Morgan Santoro, Taylor Mason, Maggie Grimes, Victoria Hartline and Abigail Hartline for their many hours of work to create this outstanding collection of new kid-friendly murals throughout the building! Please click HERE to view additional photos. 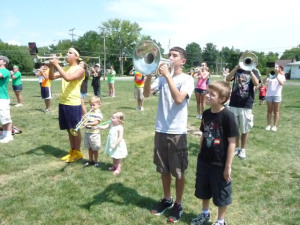 In the annual tradition, Olmsted Falls Board of Education members and District administrators joined the OFHS Marching Band and Bulldog athletes on the parade route in the Heritage Days Parade held August 15th. Building principals had an opportunity to say “Welcome back” a few days early, as they waved to their many students along the parade route. 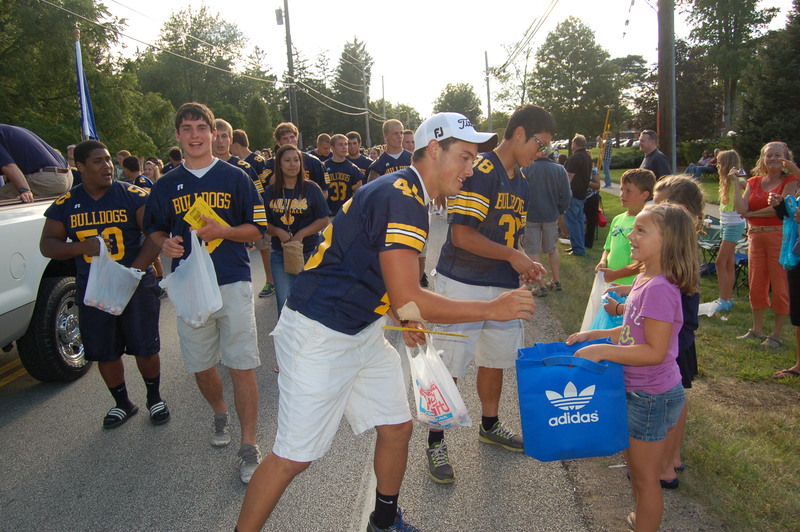 As always, students, families and community members lined the streets for the annual event…and for the candy. Please click HERE to view our Heritage Parade photo gallery. 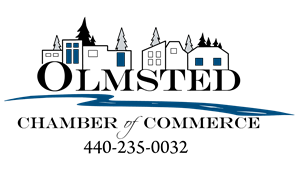 10th Annual Olmsted Chamber Golf Outing at Creekwood Golf Course, Columbia Station, on Thursday, August 29, 2013 – The outing will be in a scramble format starting with a shotgun tee-off at 9 AM. Pre-paid registration for the outing is $80.00 per person . Lunch at the turn & BBQ Rib & Chicken dinner is included. Win $10,000 in the hole-in-one contest! Proceeds from the outing will benefit the Olmsted Scholarship Fund. Want to play? Click here to register online. Would your business be interested in sponsoring a hole? Hole sponsorships can be purchased for $100 from DeeDee Alvelo. Contact DeeDee Alvelo at dalvelo@ffl.net with any questions. We hope to see you there! We hope that everyone is enjoying the summer break. With less than a week to go before the first day of school, we are officially activating our district’s Weekly Blog Update to provide you with a summary of important back-to-school information. This Weekly Blog Update will be published each week that school is in session throughout the school year. We look forward to seeing students return to the buildings this Tuesday, August 20th, as we embark on another exciting school year! The first day of school is Tuesday, August 20th for grades 1-12. (Please see Important Back-To-School Dates section below for kindergarten and preschool orientation schedules.) Bus cards have been mailed out. Any family who has not yet received their bus card(s) in the mail should contact the Transportation Department at 427-6350. Following the successful implementation of the District’s new on-line registration system (for students new to the District) this past spring, Olmsted Falls Schools has now officially opened the new system for returning students this fall. The District’s new InfoSnap system enables parents to review and update all of the information for their student(s) on-line. This new online process will replace the paper forms that are normally sent home at the start of each school year. Parents of all Bulldog students who were enrolled in Olmsted Falls School District last year (2012-2013) should have received a letter via mail earlier this week featuring instructions and an important “Snap Code.” The personalized “Snap Code” contained in the letter provides confidential access to review and update contact, family, and medical information for each student. If you have not received a “Snap Code” letter for your student(s), please contact the main office of your child’s building for assistance. All parents are being asked to review/update the information for their student(s) by the first day of school on Tuesday, August 20th. Thank you to the many parents who have already logged in and completed the new online process! Since the letters began hitting homes this past Monday, parents have logged in and reviewed/updated information for more than 700 students! We are receiving positive feedback on the new system thus far, and hope that all parents find the new process to be convenient and efficient. Class lists for Olmsted Falls Intermediate School were posted online and on the front doors of the building last Friday, August 9th. Class lists for Falls-Lenox Primary School were posted online and on the front doors of the building at 3:30 p.m. today, Wednesday, August 14th. Class lists for the Early Childhood Center will be posted online and on the front doors tomorrow, Thursday, August 15th at 3:30 p.m.
Olmsted Falls High School will post homeroom assignments on the website and on the front doors of the building at 4:00 p.m. this Friday, August 16th. Students will report to their homerooms on the first day of school and will receive their complete class schedules at that time. Supply lists for students in preschool through 8th grade are available on the respective building websites. Visit www.ofcs.net to download supply lists from the ECC, Falls-Lenox, OFIS and OFMS home pages. Just a reminder to parents that there will be new buzzer entry systems in place at the Early Childhood Center, Falls-Lenox Primary School and Olmsted Falls High School this school year. (Buzzer entry systems were already in place at Olmsted Falls Intermediate School and Olmsted Falls Middle School.) 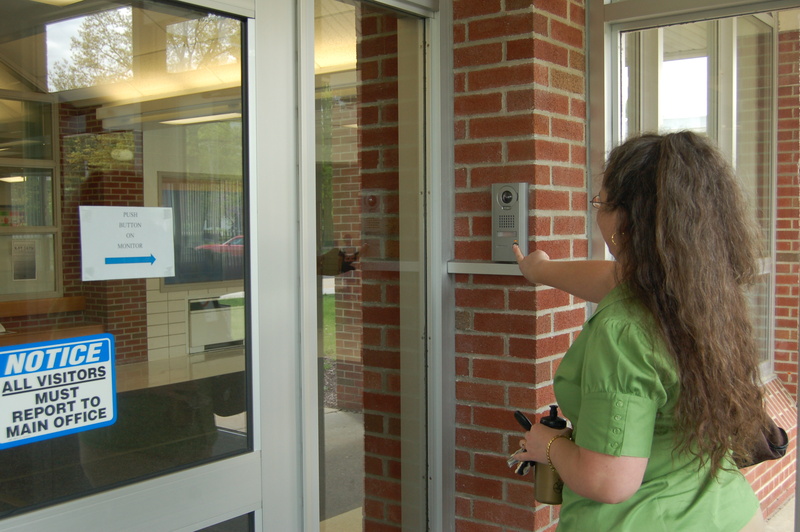 Having buzzer entry systems at all school buildings across the district provides an additional level of security for our students and staff. Thank you in advance for your cooperation with our new entry systems. 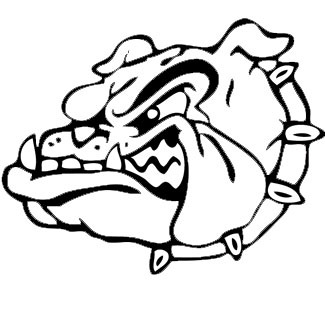 OLMSTED FALLS BULLDOG APPAREL SALE – THIS FRIDAY & SATURDAY! The Olmsted Falls Athletic Boosters will hold a Bulldog Apparel Sale during Heritage Days festivities this weekend. Visit the sportswear area next to the concession stands at the Olmsted Falls High School Football Stadium on Friday, August 16th (9 am – 3 pm) and Saturday, August 17th (8 am – Noon). Items available to include: t-shirts, shorts, sweatshirts, sweatpants and more. Stop by and get some school shopping done! Cash, check, Mastercard or Visa accepted. Heritage Day Parade – THURSDAY, AUGUST 15TH – 6:30 P.M. – Don’t miss this annual community event! Parade will step off from Falls-Lenox Primary School and follow its traditional route. Don’t forget your candy bags!